If you are facing Felony DUI – DWI charges in Central Florida, contact a criminal defense lawyer at the Kramer Law Firm. Whether you were charged with a third or fourth repeat DUI violation, or your teenage daughter hit and injured or killed someone while drinking and texting, you need serious legal defense. Felony DUI convictions in Florida can impact your life forever. The criminal defense lawyers at the Kramer Law Firm know the stakes are high, and are here to protect your rights when you need it most. 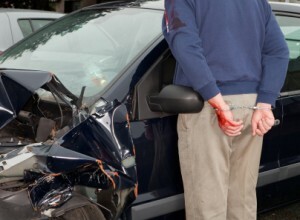 We urge you to meet with a DUI defense attorney from our firm as soon as possible. Our criminal defense lawyers will take every measure to challenge the prosecution’s case against you in order to have the charges reduced or dismissed. If police stopped you at a checkpoint and tested your blood alcohol concentration at 0.08%, you could be charged with a misdemeanor DUI, per Florida Statute 316.193(3). If you caused property damage or slightly injured someone, you may still be charged with a first degree misdemeanor offense. That is still a serious offense with possible total prison time of twelve months. However, if you collected a third DUI within 10 years of any prior DUI conviction – prosecutors can upgrade your charge to a felony DUI. Anyone arrested for a fourth or subsequent DUI will be charged with third degree Felony DUI. Penalties include a fine from $2000 to $5000, time in jail up to 5 years, probation, permanent revocation of your driver’s license, and additional criminal penalties such as in charges of DUI manslaughter or homicide. Causing serious injury to someone while driving under the influence can result in third-degree felony charges. Charges of DUI vehicular manslaughter may be a first or second-degree felony. In addition to jail time, the penalties may include suspension of your license, probation, compulsory alcohol school, and community service. You may also face fines and fees and massive hikes in your auto insurance rates. Your defense must be built around the facts of the case and your prior convictions. Extensive preparation, thorough investigation, and a strong, effective courtroom presentation by an experienced felony DUI-DWI defense attorney are the elements of a winning defense. You need an attorney with knowledge of Florida’s felony DUI statutes and court rulings so that a proper defense can immediately be put in place. You need an attorney who is able to anticipate the tactics used by the prosecution and law enforcement in their case against you. You need an attorney who is familiar with the local criminal justice systems and will work effectively with the assistant district attorney to minimize the consequences of your felony DUI - DWI charges. When we represent you, you will only work with dedicated, skilled criminal defense attorneys, and never be passed off to a ‘substitute’ attorney who knows nothing about you or your case. You will be kept informed about the status of your case, and will always know what to expect. When you work with a well equipped, resourceful DUI defense attorney at the Kramer Law Firm, you can rest assured that you will get trusted guidance throughout the process as well as aggressive, effective representation. Do not struggle with the frustration and uncertainty on your own, putting your rights, freedom, employment and reputation at further risk. Learn how we can help protect you. Contact us immediately by calling 855-Kramer-Now (855-572-6376), or reach us by filling out our confidential Free Case Evaluation form. Your initial consultation is free. Our felony DUI-DWI lawyers represent clients throughout Central Florida including Volusia, Seminole, Orange, Lake and Hillsborough Counties.